There is a feeling among AFL fans that the American Football League players are consistently overlooked for induction into the Pro Football Hall of Fame. In truth there are many players, the bulk of whose careers were spent in the AFL, that deserve serious consideration, if not outright induction. In an effort to spark some discussion regarding their hall of fame worthiness, I will occasionally compare AFL players to their NFL (and Hall of Fame) counterparts. The short biographies on the NFL players have been taken directly from the Pro Football Hall of Fame website. Today’s comparison is between Jerry Mays of the Dallas Texans/Kansas City Chiefs and two HoF defensive ends, Doug Atkins and Willie Davis. William Delford “Willie” Davis – 15th-round draft pick, 1956. . . Played Army football prior to joining 1958 Browns. . .Career turning point came with 1960 trade to Green Bay, where he became a defensive standout. . . Had speed, agility, size. . . Great team leader, dedicated, intelligent. . . All-NFL five seasons. . . In five Pro Bowls, six NFL title games, two Super Bowls. . . Didn’t miss a game in 12-year, 162-game career. . . The more that I study them, the more I find myself in awe of the Kansas City Chiefs defenses of the late 1960s. Bobby Bell, Buck Buchanan, Willie Lanier, and Emmitt Thomas have already been enshrined, and Curley Culp will join them this summer. 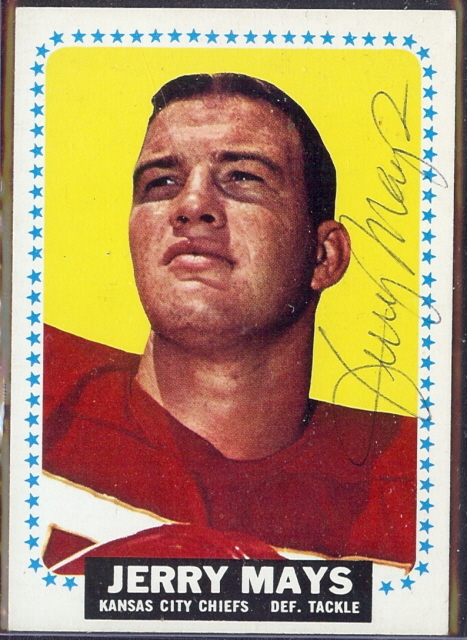 Johnny Robinson is a slam-dunk hall of fame member to everyone except the voting body, and then there is this guy, Jerry Mays, who made nearly every AFL All-Star team that it was possible to make, and ended up as a First-Team All-AFL member. Mays was a dominant lineman at both the tackle and end positions, and his overall record clearly shows him to be deserving of HoF consideration (at a minimum). I am starting to believe that the Chiefs of the late 1960s had so much talent that the HoF may never recognize another of their players. In addition to the defensive members listed above, Len Dawson and Jan Stenerud are also HoF members, as are owner Lamar Hunt and coach Hank Stram. That makes nine Chiefs of the late 1960s currently residing in Canton. Pretty admirable. The only thing is that the Pittsburgh Steelers teams of the 1970s currently have an even dozen of their members with HoF busts, so the precedent is there to still bring in Robinson and Mays. Thoughts? I agree with you about the harm done. Several more Chiefs should be in. However, I believe Culp got in more as an Oiler than as a Chief. He was the first dominant Nose Tackle, and I think that was the deciding factor. But, however you slice it, there should be at least 3-5 more Chiefs in the HOF. Dave Robinson of the Packers just got in. He retired nearly 40 years ago. So it is still possible that many of those Chiefs will get in. I agree as well, and in your article above you didn’t even mention Otis Taylor…the preeminent “big” receiver of the era, or Jim Tyrer, another perennial All-Pro, who gets ignored due to his death rather than what he accomplished on the field. OTIS TAYLOR should ABSOLUTELY be in The Hall of Fame. He and Lionel Taylor are must-elects, along with Cookie Gilchrist and Charlie Hennigan. And how ’bout Mike Garrett? I really don’t know a lot of details about his career–(I sometimes get him mixed up with Carl Garrett, a RB on a bunch of teams, including the 1976 Raiders). I know Mike Garrett was an excellent runner on the 1969 Super Bowl-winning Chiefs. Todd, have you done a Hall of Fame comparison on him? Or did his career not last that long? 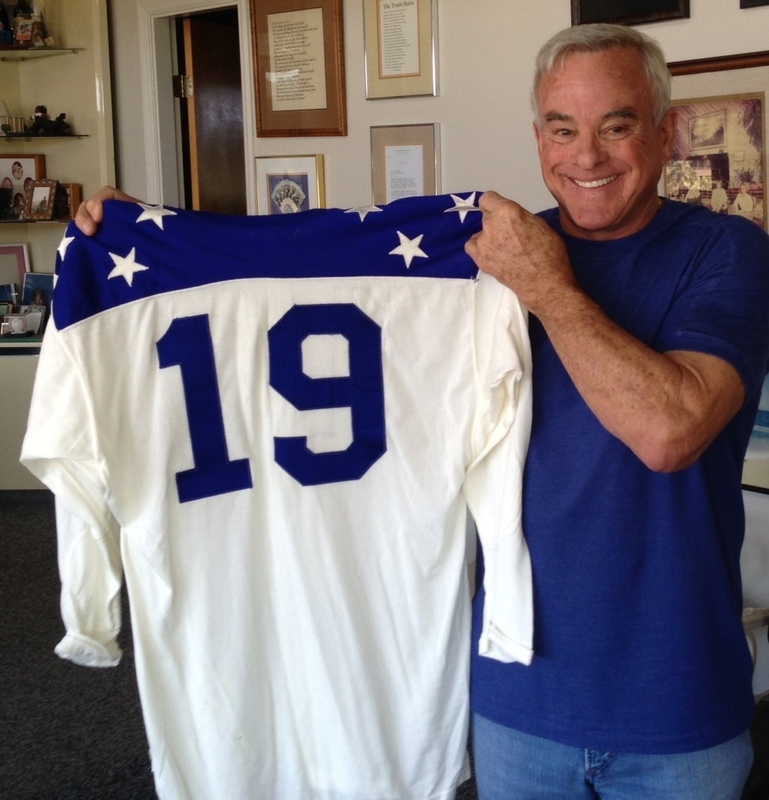 And all 9 were members of the 1969 Super Bowl winners. I wonder if that’s a record for the amount of Hall of Famers on a single championship team? Speaking of which, the ‘Redwood Forest’ (as some Minnesota Vikings described Kaycee’s defense Superbowl IV) had no slouches. In three post season games vs the best teams from the AFL & NFL, the Chiefs allowed 20 points – total. Among the lesser ballyhooed members were S Jim Kearney, who while never a Pro Bowler still shares the NFL’s single-season record for most int returns for tds in a season with four. DE Aaron Brown never made it to a Pro Bowl either; he was merely the guy who knocked Oakland’s QB Daryle Lamonica out of the 1969 AFL Title Game, which effectively blunted the Raiders offense the rest of the day, even aft an ineffective Lamonica returned… Brown then kayoed QB Joe Kapp in Superbowl IV, exit the Vikings with a whimper. The other two unsung players were LB Jim Lynch and rookie CB Jim Marsalis – both of whom did become Pro Bowl players during their careers. Perhaps the many oversights are a combination of bias against the AFL for one, and fuzzy cheeks for another, least before the veterans committee got involved. Despite the seeming ‘individual’ aspect regarding Hall of Fame enshrinement, I also wonder whether (for example) the Chiefs relative lack of ‘team’ success then compared to say the 1970’s Pittsburgh Steelers or the 1980’s SF 49’ers also hurts KC players chances, or did when they were thence newer candidates. Long live/never forget the AFL! I think a litmus test of how solid those 1969-1971 Chiefs were is the epic battle they waged against the Dolphins in the 1971 playoff game. Hank Stram said the 1971 team was actually his best. They played a double overtime game in which Ed Podolak had about 250 all purpose yards. They lost by a field goal, but, it was nip and tuck the whole game. That same Dolphin team lost the Super Bowl in 1971 to Dallas, but went on to win 2 Super Bowls including the unbeaten 1972 season. They are arguably the greatest team in pro football history, and the Chiefs fought them every step of the way in that game. Howard, Podolak had 350 in that game…amazing. On top of that, Wendell Hayes rushed for 110 yards. Mistakes cost the Chiefs that day – not just Stenerud’s missed field goals but Podolak’s fumble before the end of the first half, which led to Miami points. The biggest mistake however in my opinion, was Stram’s tactics. His Chiefs had suffered through an abysmal 1970 season following the 1969 season/Superbowl win, primarily due a strike, his team resting on its laurels while other teams got ‘up’ playing the World Champs & a conservative bent on offense that saw KC eschew tds in lieu fgs, hindsight/upshot. So in 1971 Stram vowed “we must be on the attack”. Then in the playoff game vs Miami when it counted the most, he choked?/reverted to playing it safe and in the process his team met its demise. Stram (and he’d been guilty of this in past seasons too, ever since acquiring PK Jan Stenerud) got too conservative on offense, playing for ‘sure’ field goals and trying to place the football in an advantageous position/run down the clock. That said, Stram is still the only coach in KC history I’d want coaching them, but after Stenerud’s arrival it seems other aspects on offense demured/players were underutilized for the greater part, like an Otis Taylor for example. That GB’s Herb Adderly (considered by many to be pro football’s best CB in 1966), stated following SB I that Otis Taylor was the best WR that he’d ever played against (only Otis second season) seems to affirm, in general. Take away Otis, and you stopped the Chiefs… Miami did, with apologies to Podolak’s opus. I am going from long ago memory, but, I think another mistake Stram (or more likely his defensive coordinator) made was having single coverage on Miami’s Paul Warfield. That resulted in Warfield having a big day. The Cowboys double teamed Warfield in the Super Bowl; he was not a factor. Agreed, though Hall of Fame CB Emmitt Thomas ‘was’ that single coverage guy; Warfield too being an Hall of Famer, advantage all considered: Paul. The Cowboys had Herb Adderly or Mel Renfro covering Warfield during that Super Bowl. Both were at least as good as Emmitt Thomas. Yet, they still had double coverage that whole game. You know the Chiefs more than I do, but it did seem that while they were flashy with multiple formations, etc. that they were fairly conservative as far as run/pass ratio. I also agree with you that they should have probably one more. In fact I’m certain there was a Sports Illustrated article in the late 1990’s about the Chiefs. It was titled “The Dynasty that Never Was”. The story indicated that the Chiefs were sandwiched between the Packers in the 1960’s and Miami/Pittsburgh in the 1970’s. They were as good as those teams, but, only one once. The guess you can make a similar case for the 1980’s Bears. I think the merger and common draft were actually bad for the Chiefs. 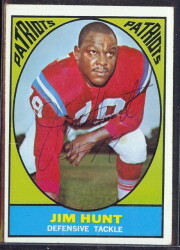 They seemed to be among the best teams in pro football in signing talent during the 1960’s. And while they signed Lanier, Lynch, and Marsalis during the common draft era, it seems as if the well ran dry. They have been mostly mediocre over the last four decades. For goodness sakes, they ended up firing Hank Stram after the 1974 season. Lamar Hunt didn’t have the stones to fire him in person. Stram received a letter from the front office informing him of his ‘retirement”. Meant to say “won” not “one”. 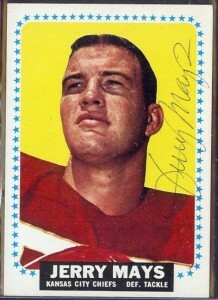 KC also drafted poorly during it’s hey day, in 67 they drafted Ken Trosch and left Lem Barney on the board, in subsequent years they drafted Jim Marsalis and left Calvin Hill and Ted Hendricks waiting, drafted Podolak over Eugene Mercury Morris and Larry Brown, in 68 they drafted Mike Livingston and left Ken Stabler to continue his wait in Tuscaloosa. In 70 they drafted Sid Smith and not Mel Blount and in 71 they selected Elmo Wright over HOF members Jack Youngblood and Jack Ham. Post 1963 AFL draft when HOF’s Buchanan and Bell as well P Jerrell Wilson, Dave Hill and other long-term standout Chiefs were added, the annual ‘hub-bub’ was the Chiefs had the best talent in football – AFL or NFL. Be that yea or nay, KC’s failures as defined not winning again after the Texans / Chiefs ’62 Championship was attributed to Stram & his coaching tack, or lack thereof. He was criticized for not playing ‘regular’ football, whatever that meant, i.e., trying to be more cute than meat & potatoes perhaps; ‘that team ought to win more than it does’ the cry, some quarters. The move to KC from Dallas, injuries on and tragedies off-field etc. were used to ‘rationalize’ their underachievement, according some. Come 1966, everything finally came together, and I still remember the late OT Jim Tyrer’s attributed quote that “this team has always seemed to be missing something”…until ’66 that is. Augmented by rookie HB Mike Garrett & the quantum leap made by 2nd year WR Otis Taylor, Hank said – ‘we used to travel by bus…now we travel by jet.” They were the best in the AFL & probably just as good as most teams in the NFL…just not as good as the GB Packers, but then who was? By the time Stram finished infusing their defense with the requisite overall talent necessary to win it all in 1969, their offense reverted a bit more conservative again due to a falloff in performance by some of the talent, injuries, and too talent levels of other teams that had finally ‘caught up’ to KC’s level. One of those: the Oakland Raiders, who (speaking of underachievers) remain in my mind the greatest team in pro football that never was Champion, 1967 – 1969 period. They were not unlike the Dallas Cowboys of 1966 – 1970 who could just not get past the Packers, nor themselves for that matter. When the Chiefs finally won it all in Superbowl IV, the effectiveness their “offense of the 70’s” as some labeled it (motion & shifting, etc.) lasted about a nanosecond. Then too, reality is they grew old, 1971 their farewell tour to success. So, a team that had been the epitome of talent if not lasting success, and a pacesetter of sorts both on the field and off was relegated a status ‘just another team’. The truth is, they’ve never rebounded to date, my opine. Yes, they also drafted poorly compared to afore, from about 1970 on. I also believe it was easier for them in the 1960’s due to Hunt’$ deep pockets allowing them to outbid their NFL competition/sign players that shy separate drafts AFL & NFL they would never have been able to with the common draft. Too,egos of proportion (and I include Owner Hunt, GM Steadman & Head Coach Stram in said) were in play, the latter fellow having the largest the opinion some. Almost 40 years wandering in the football wilderness since Stram departed however, the Chiefs have yet to ever replace him nor the success they knew, such as it was. I think it not mere coincidence. This may be sacrilege but it is possible they hung onto Lenny to long. Not applying the old Dodgers Branch Rickey formula that says “It is best to get rid of player too soon than to late.” may have taken a toll. KC drafted Wilbur Young and left Ken Anderson and Lynn Dickey on the board and selected Gary Butler and not Cliff Branch or Dan Fouts. Without Mel Kiper or a chrystal ball who knew? Fact is, KC lost a lot over the years, including talent evaluators, like Don Klosterman, who left before the 1966 season & was responsible for the great talent acquired that point. Ditto another scout Bobby Beathard, who left KC for MIA, later WASH & still later SD, a trio of teams that enjoyed success including Superbowl appearances/W’s. I note George Allen had fairly good success via his geriatric football legion, tho he never won a Superbowl. I just find it hard to believe a team (KC) who found such abundant talent could later end up with an empty talent cupboard, but it happens. 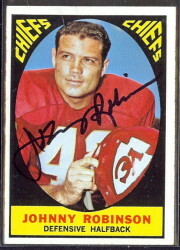 Reiterating, I think the Chiefs found it harder once that 1967 & aft common draft leveled the ‘signing’ field talent. Denver an example: they never signed even one of their 1st round draft picks until 1967, when Floyd Little joined them. That probably answers the question of why KC thrived in the AFL while DEN was such a perennial loser. Klosterman is of interest, LA Loyola on the hill, the ski accident that many believed ended his career, but didn’t, he went to Canada Calgary Stampeders and played. I agree with Adderley’s Otis Taylor assessment, I played in college for former KC assistant Chuck Mills and with former Chiefs qb Tony Adams and at a reunion a few years ago I asked them and Tom Pratt if they knew why Otis Taylor had been snubbed by Canton. Both agreed he was deserving and had no explanation for his absence. I’ve long said if I was to start a team tomorrow my receivers would have the same last name Taylor. Otis and Charley. *NOTE* I failed to mention OG Ed Budde earlier re: that 1963 draft of KC… another guy who should merit HOF consideration, offense. The 1960’s, finding talent was the first thing, signing it the second. Come 1967/the years aft, greater/shared talent evaluation BLESTO /teams etc. & a leveled playing field the common draft + Hunt’$ no longer providing the financial advantage it had, KC fell hard. Re: Otis Taylor, he along with Len Dawson was my earliest football hero (Gale Sayers, Bart Starr, Lance Alworth too.) Having said that, Otis Taylor’s ‘stats’ will never get him into the HOF, likely. A shame really because modern day WRs with their overblown, less relevant stats realized via more games played per season & NFL’s continuing flagellation/bastardization of their rules to aid offense leaves me ill, frankly. No different in result than MLB knowingly turning a blind eye to the steroid era realities for the $ame lame reason$. NFL, liberalized blocking techniques for offensive lineman (1973?) & the 5-yard bump rule (1978?) among other have relegated latter day stats farcical, my opine. Result: guys have better stats than an Otis Taylor for example, yet in reality couldn’t carry his shoes were things of an equal measure. I will add this subjective take (hopefully not sour grapes) mine: had Otis played on a passing team like the Raiders, Chargers or Jets with a Lamonica, Hadl or Namath, Taylor’s stats would likely be as good or better today than the Alworth’s, Maynard’s, Biletnikoff’s, et al. Otis may not have been God but was nigh on Baryshnikov in cleats on the field his early days. Who was better? No one, my opine; HOF doesn’t merit the name until Taylor and many other deserving guys get their just due. Alright, I’m starting to get angry… better stop. Guys that played offense never did much for me, my heroes played D, Deacon Jones, Larry Wilson, Big Daddy Lipscomb, Les Richter, Doug Atkins, Ray Nitsche. Dave Robinson, Mike Curtis. Paul Lowe was an exception, he was fun to watch run. Not so oddly some of the better athletes from that era and a few years after, unlike today opted away from football to baseball. Your description of Stram’s philosophy of “Prevent Offense” seems at odds with the impression of how much of a showman and character he was. I am not surprised that a George Allen, or Bud Grant would play not to lose. But, surprised that Stram was of that mindset. Upshot: for whatever the reasons in total, the Chiefs were scoring two fewer touchdowns (15 points) less per game by 1974 than they’d been putting up in 1966, the year before Jan Stenerud arrived. Now I loved my Chiefs but Stram may have loved Stenerud even more, almost the point seeing him as an safety blanket or crutch. Contrast this with the Raiders ‘go for the jugular’ style offense, despite the fact Oakland had an pretty fair PK too, a guy named George Blanda. Still, Jan is/remains the only pure placekicker in the NFL Hall of Fame, so perhaps Stram was only doing what seemed most effective to him. The decreasing scoring trend you detailed may not have been unique to the Chiefs. That period you encompass is now referred to as “the deadball era” in pro football. This culminated in 1977 with a horrible Atlanta team setting all kins of defensive marks. In 1978, the league changed hashmarks and allowed an anything goes philosophy regarding offensive line play. The 1978 Steelers with the same offensive personnel scored significantly more points than their 1972-1976 rosters. So, I’m not sure if Stram is at fault, or that era in general was not conducive to scoring points. Understood, but this KC fan saw their games every so will stick with my expressed sentiments, the Chiefs starting to trend down as early as the 1967 arrival of Stenerud, which was the height of the team’s offensive prowess. For what it’s worth, Blanda arrived in OAK in 1967, just as did Stenerud in KC. The year before in 1966, OAK scored 315 points, while KC scored 448. Two Hall of Fame kickers, two great teams, two offensive juggernauts by most opines in hindsight’s view. What does it all mean? Who can say for certain. It is a team game of course, so perhaps merely a matter KC on the downswing & MIA the up, while OAK was building toward a Championship in 1976. Still, KC had all those HOF-types intact/still in their prime from ’67 onward, yet began scoring less points as well as winning less often – which seems an obvious correlation on its face. Having watched it all unfold in KC thence, I remain steadfast that the Chiefs became more conservative on offense with the advent of Stenerud’s arrival. Subjectively, I am convinced it led to not only a less prolific offense but missed Championships… we’ll never know . Not to run this in the ground but I just had to I looked at a couple of more draft years 1974 and 1975 Len’s last two season and found that KC took Woody Green (a great back in Tempe, a very average to below average back in KC.) and left Swann and Jack Lambert on the board and in 1975 with there first picks they took Elmore Stephens and Cornelius Walker, two guy that never played a down. The Steelers were dominant because they drafted and developed talent better than anyone. Those draft failures seem to still be a feature of today’s Chiefs. They seem to rely on 49er’s castoffs to fill the QB position on a regular basis. In Cornelius Walker’s defense he did play in the CFL for three seasons with Toronto and Montreal, at a time in the 1970’s when it was harder in some respects for Imports to play in the CFL than in the NFL. Was it 7 Imports per team? If my memmory serve me right Doug Swift was cut by a CFL team and later a main-stay with the No Name Super Bowl Champion Dolphins Defense made the aforementioned CFL claim. 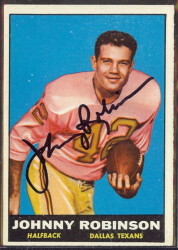 Several weeks ago I had the privilege of interviewing Ken Adamson, a guard on the original Denver Broncos from 1960-62. When asked who were most formidable opponents he faced in the trenches, he responded, “The best guy I ever played against was probably Jerry Mays. He only weighed about 240, but the most impressive thing about him was that he never, ever, took a play off. He just hustled his buns off. 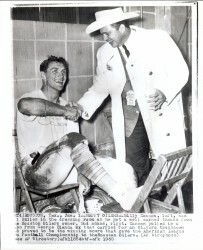 Besides being a HOF caliber football player, Mays was a class guy as evidenced by his genuine humility during a post-game interview after the Chiefs’ victory over the Vikings in Super Bowl IV. In those famous Hank Stram words,keep matriculating down the field Leonard. I saw an interview with Len Dawson that was posted on You Tube. He said that none of the Chiefs players were aware that Stram was wired for the Super Bowl. And those various phrases: “keep matriculating down the field Leonard”, etc.. were not part of Stram’s standard vocabulary. Stram was schmaltzing things up for effect. The NFL Films production of that Super Bowl was released just before the 1970 season. And the first game of the now merged NFL was a replay of the Super Bowl; Chiefs/Vikings played in Minnesota. Apparently the Vikings were so incensed by Stram’s braggadocio that according in Dawson; “The Vikings ran onto the field so fast that their feet never touched the ground. I think the final score was 27-10 Vikings.